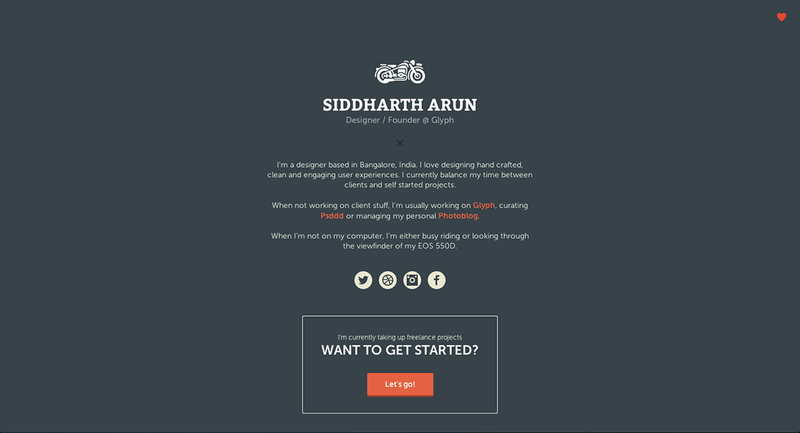 Liking this simple personal site for Siddharth Arun. All the info you need. Finally got around to redesigning my personal website - this time I was looking for something very minimal and to the point. Blog coming soon!